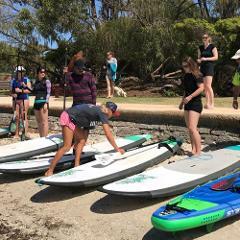 'Introduction to SUP' For the first time paddler and those entering the sport we recommend our 'SUP Intro' lesson. Our Introductory lesson will teach you the basic skills. Don't want to miss out on a board and avoid the queue? 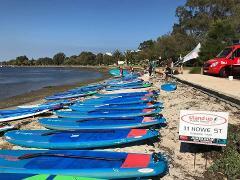 Rent one of our fantastic Starboard SUP's on the Swan River for 1 hour. BOOK online NOW! Gift Card can be used on lessons, rental in our school or products in our two shops. The perfect idea for Birthdays, Christmas or Anniversaries. Gift Card can be used on lessons, rental in the school or products in our two shops. The perfect idea for Birthdays, Christmas or Anniversaries. 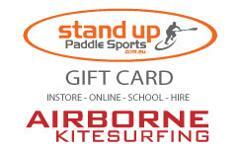 Gift Card can be used on lessons or rental at our SUP school or to purchase any products in our Osborne Park Store. The perfect idea for Birthdays, Christmas or Anniversaries.